Faint Expectations: Dude, you don't want a Dell. ...I’ve owned Dell computers since 2002 and never had any technical problems with them. Both PCs have run smoothly, got the job done, and never really caused any complaints for me. 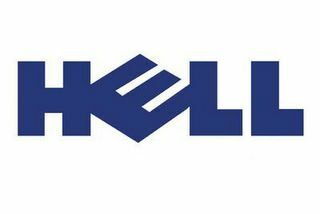 Recently I came to discover—or rather my brother did—that Dell’s problems lie with their people and not their machinery. ...A few months ago my brother purchased a new Dell PC that had as part of its promotion an interest-free payback option. Such a buy was perfect for him, since he’s spending quite a bit on repairs to his home, which needs some work as it’s over 100 years old. ...He also knew that I, too, recently purchased a new Dell PC—opting for a similar interest-free payback program—and called me last night, frantically ordering me to check my recent bill. ...“Are they charging you interest?” he inquired. ...“No. Why would they? Both of us took the interest-free promotion. Remember?” I responded. ...At this point I thought that there had been some kind of mistake and asked him if he had made any calls to find out where the mix-up was. Unfortunately there hadn’t been any mix-up; the people at Dell simply decided that he didn't qualify for the deal after they originally told him that he did. He explained to the Dell representative that the interest-free payback promotion was the main reason that he made that particular purchase and that he was told that the promotion was a done deal. Nonetheless she said that the payments were now his problem—not theirs. ...My brother doesn’t have the time or money to fight a shady bait-and-switch deal by one of the country’s biggest computer companies, so he instead opted to dip a little deeper into his checking account and pay the bill off in one shot. We both agreed, however, that we’d openly discuss his Dell hell and encourage anyone and everyone to purchase another brand if you’re looking into buying a new computer. ...Try to find one that doesn’t include the bait-and-switch in their business dealings. Dude! My friend went through this same crap! Dell is really screwy. This is a really sad state of affairs. Might I suggest a comment or two on Dell's BBB record? I’m going to suggest to my brother that he drops a few comments to the BBB regarding this situation, but now I see that Dana’s friend experienced a similar thing. Whenever my current Dell becomes outdated (which will be a long time — it’s brand new) I think that I’ll look long and hard at another PC. One thing that I felt like I should clarify is that fortunately my brother isn’t sue-happy. After I reread this post tonight I thought to myself that I was suggesting that he was into the excess litigation thing with the “time and money” comment — which would have lent itself to all our previous posts on lawsuits. and stay away from western digital external usb hard drives, too. That is so odd. I got a dell on a payment plan years ago btu the last 2 were bought outright (both costing less then $400) I've had to call then when i did have the billable one back then and good grief the csr's at dell are terrible.